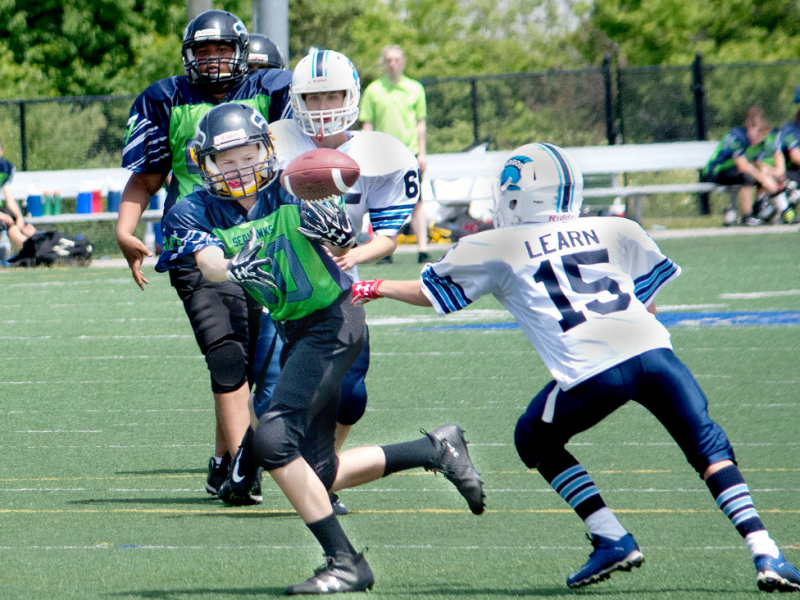 Results from Niagara Regional Minor Football this past weekend. St. Catharines Seahawks Quinn Johnston #80 catching a pass in the Bantam game against Niagara Falls Argos at Kiwanis Field in St. Catharines. Photo by Ed Telenko.